Welcome to The Table London. A small but beautifully-formed creative and production agency that specialises in advertising, digital, direct and social content production. 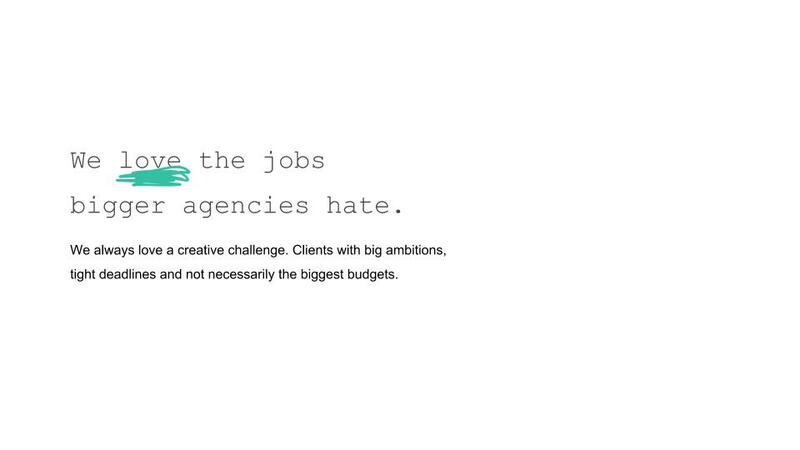 We love the jobs bigger agencies hate. We always love a creative challenge. Clients with big ambitions, tight deadlines and not necessarily the biggest budgets. An exciting collision of old and new-school creative skills. We were created in 2012 out of a unique combination of our experience in advertising, digital, direct and social content production. The people who take the brief are the people who create and produce the work. So nothing is lost in translation. We’re fast. Creative. And lean.